Game of Thrones’ Season 7 finale brought with it plenty of expected reveals, but the cryptic shot of a lovelorn Tyrion outside Daenerys’ room had audiences scratching their heads. Now, director Jeremy Podeswa clarifies the character’s dismay was “not romantic jealousy,” but something more. You’re warned of full spoilers for Game of Thrones Season 7 from here on out, but the “Dragon and the Wolf” reveal of Jon’s true heritage wasn’t the only wrinkle produced by Jon and Dany hitting the sheets. A few eyebrow-raising finale shots saw Tyrion lingering in the hall outside, looking rather disheartened at Jon hooking up with his Queen. 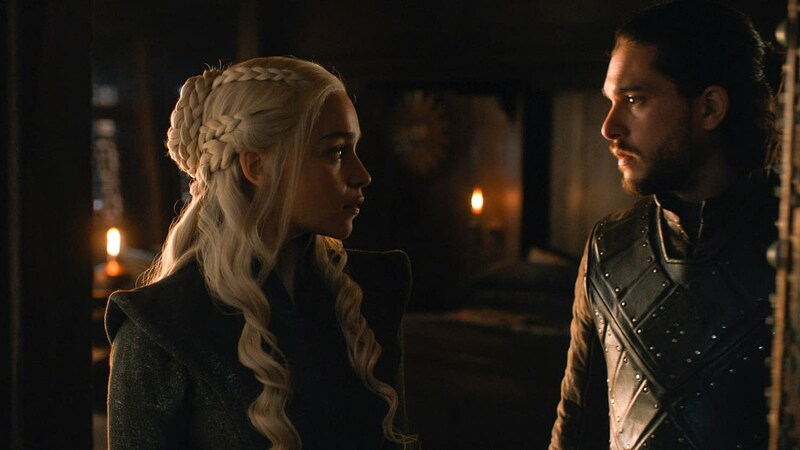 The consequences of Dany and Jon getting together are completely unknown. Is she gonna make decisions now based on this new relationship? Is she gonna be able to separate her personal [interests] from the interests of the greater group? What is this going to foretell for the alliance and what they’re all meant to do as a united front? So I think the worry for him is that now, everything is up for grabs. We don’t really know who’s going to side with who, what’s gonna happen at the end of the day, and which alliances are going to be the strongest. It would seem pretty left-field to establish Tyrion’s love for Daenerys with only six episodes remaining, but how deep might this thing go? Did Tyrion betray his queen for Cersei after all, given talk of Daenerys’ inability to continue the line of succession? Stay tuned for more on Season 7 and the final episodes, whenever they premiere.